於八月十七日(星期六)的下午，我們獲聖公會諸聖座堂邀請，參與午間音樂會的演出。除了獻唱六首歌曲，包括《Amor de Mi Alma》，《Zum Gali – Dance the Hora!》及《荳芽國》等，與諸聖座堂詩班的兩度合唱皆獲觀眾的熱烈掌聲。觀眾對精彩的演出意猶未盡，我們隨即獻唱籌款音樂會主題曲 – 《星夢》，使座堂內的氣氛推至最高峰! 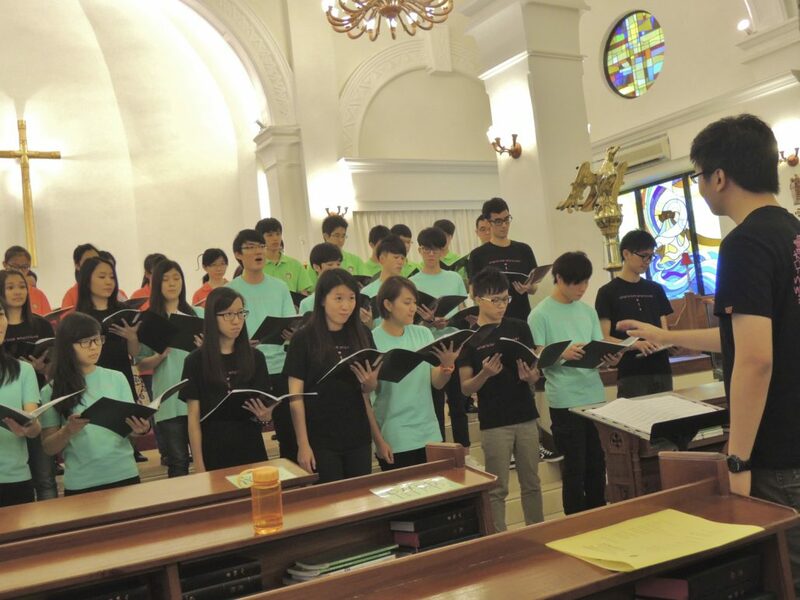 In the afternoon of 17th August (Sat), we were invited by the All Saints’ Cathedral to participate in the afternoon concert. We performed six songs including “Amor de Mi Alma”, “Zum Gali – Dance the Hora!” and “The Magical Beanland”, and also performed twice with the All Saints’ Cathedral Choir. At the end of the concert, we sang the theme song of the fundraising concert “Starry Dreams”, which marked the perfect ending to the concert.